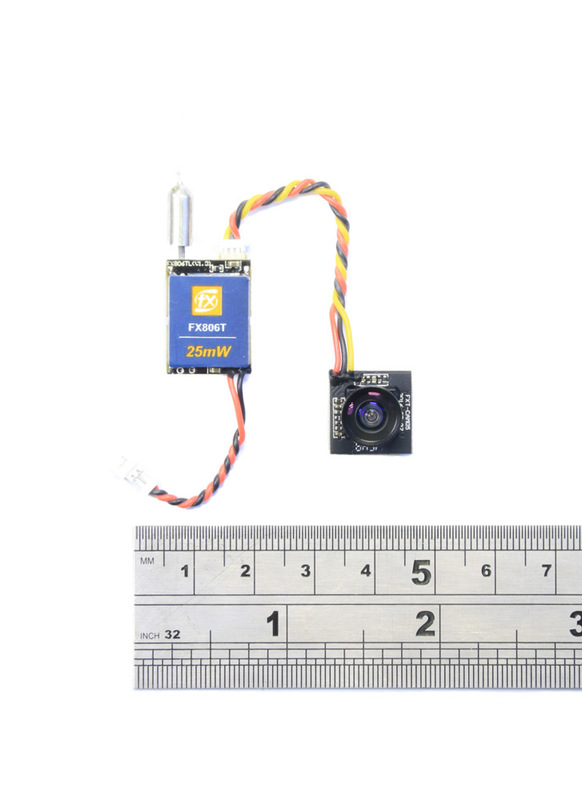 Here we have another Tiny Whoop FPV camera, but with a difference. Rather than it being a single unit like the FX798T camera/VTX, FXT have have split the micro camera and tiny VTX into individual units. This can be an advantage on certain builds where space for a combined unit is tight. It also allows you to position the VTX where there's better crash protection. 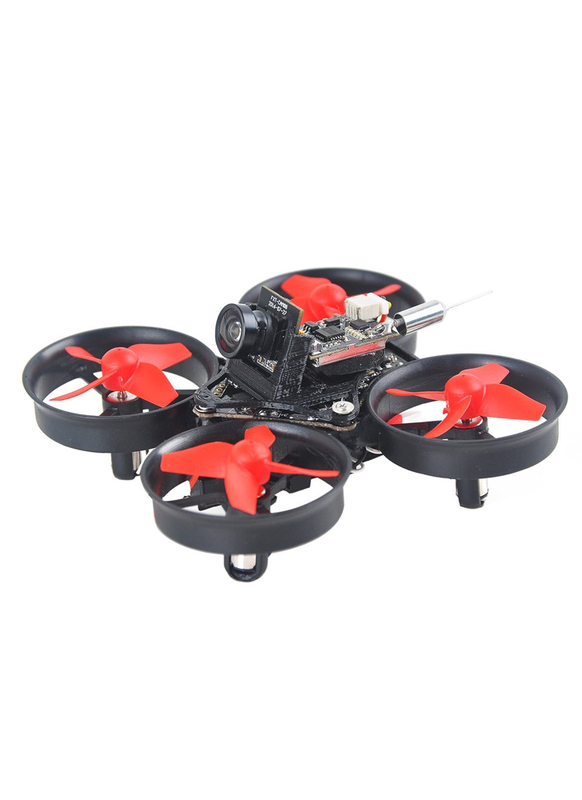 The FX806TV makes adding FPV to your RC model, be it a drone, car, boat or robot super easy! It can be powered from the balance port of a 1S LiPo battery or any 5V power supply, and because it's extremely small and lightweight, it could be installed on almost anything. To attach it you could use something as simple as Velcro or you could 3D print one of the mounts for it found on Thingiverse. Given the size of the camera, its picture quality is surprisingly good, while its 25mW 40CH UK Legal transmitter has a range of 100m, which is more than enough for most micro quads. To view the image, we recommend using something like the Hawkeye FPV monitor. 1. Single press channel/band button to change channel, channel LED always keeps red for 1st channel of any band, for other channels, channel LED OFF.